Volkswagen Golf GTD Performance, Engine, Ride, Handling | What Car? The engine is the real star, here. 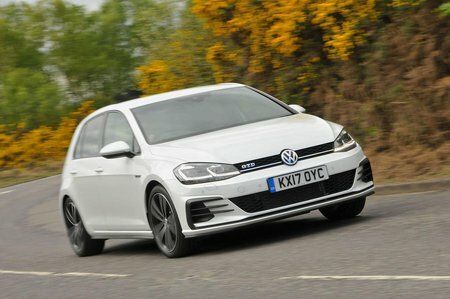 The Golf GTD uses a 2.0-litre diesel engine producing 181bhp and 280lb ft of torque, giving it a 0-62mph time of 7.5sec (or 7.4sec if you opt for the DSG gearbox). There's a hefty rush of power as the turbo kicks in, followed by a broad mid-range that's potent enough to give the GTD serious pace. It also sounds quite appealing by diesel standards, with a sporty rasp as the revs rise beyond 3500rpm. Despite its strong torque, the GTD suffers from little of the wheel scrabbling under heavy acceleration that's common in high-powered front-wheel-drive cars. The steering also impresses. It's the same set-up that’s used in the latest Golf GTI and the initial response is suitably sharp. True, it can feel a little too sensitive at motorway speeds, but it's otherwise nicely weighted and a pleasure to use in any sort of driving. 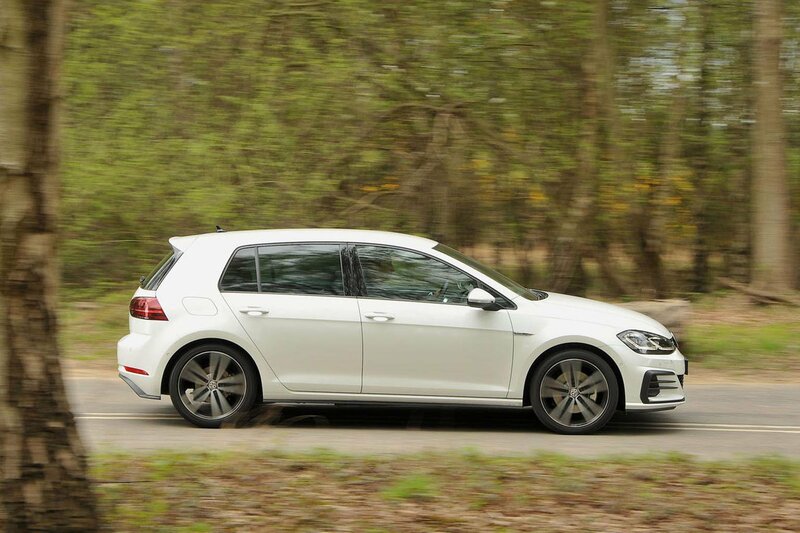 The GTD doesn’t handle as precisely as the petrol-powered GTI, though. There’s more body sway through corners, although there’s still loads of grip and an appropriate sense of 'chuckability' when the moment calls for it. An electronic traction control system helps here, because it works like a limited-slip differential to improve traction on the exit of corners and can also brake the inside wheels midway through bends to improve agility. Crucially, apart from more road noise at motorway speeds, the GTD compromises little of the standard Golf's usability in the name of fruitier performance; it remains a relaxing daily driver, with a relatively comfortable ride. Adaptive dampers are available as an option, but since standard suspension balances comfort and fun well enough, you’re better off saving your money.